I have been involved in the healing arts for over twenty years. To me, there is no true difference between working with someone in person on from a distance. After years of phone sessions, I have gotten very comfortable with working with anyone no matter where they are on the planet. 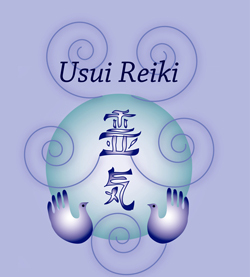 I had worked with Reiki energy for years before getting into the more esoteric healing arts that I thrive in today, but Reiki was an amazing introduction to formal healing. I found it easy to read an energy body by simply placing my hands on them. I participated and ran some healing circles so that practitioners could work on real people to hone their skills. It was a wonderful experience. As my confidence grew, I joined the Distant Healers Network. This is where I really began to get a taste for working remotely. I enjoyed being assigned a case to work on each week. Each week we were given one to two requests for healing. I had some amazing cases and some amazing results. There were times where the families had very real needs and I would continue working with them for weeks. I found that I could have an amazing impact on very real people. I decided to go further into the healing arts and found myself in Transpersonal Counseling. It is through this amazing work that I decided to open a practice. It did not occur to me at the time that a practice could or would involve distant healing, but the people I worked with started referring me to people all over the globe and distant healing became a major component of my practice. It opened me up to the understanding of infinity and helped me create a larger sphere of influence than I ever could have working solely with in person clients. It also made me a far better healer. To work distantly, you have to be able to move beyond time and space to be with someone no matter where they are. I found this to be far more challenging and rewarding. I had nothing to touch – nothing to read – I had to be good. I liked that part. Every healing session brought me closer to understanding the nature of infinity or unconditional love. It somehow seems more intimate at times. I like that too. The anonymity allows clients to open up to the healer. It is a joyful thing to share this kind of space with another human being. 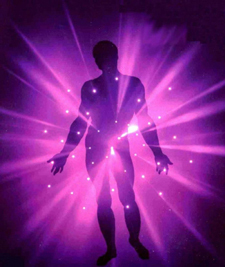 I learned the concept of healing in innocence when I was exposed to the teaching of the Infinite Energy Rays. It is my favorite part of healing and it comes in even more fully when working distantly. The concept is simple. God/Spirit knows more than me. I am reminded of that simple fact each and every day of my existence. In healing, it is the assumption again that God/Spirit knows more fully what is needed than my simple mind can conceive. As I work distantly (through one of my trusty stuffed animals who serve humanity) I allow God free reign to guide the vibration and the journey of the session. I do not project my thoughts, I simply merge deeply and send love. I have learned not to try to determine what is needed, I simply send the energy. As I free my mind up more and more, the energy flows deeper and deeper. I mostly think about the energy going in deeply, comfortably, with no ripples, no resistance. With the use of innocence as a guide, we can heal more from God’s perspective. Which means from a place of true unconditional love. We love the clients out of their situation – according to God’s plan and the souls permission. It is my favorite way to heal and is the heart of powerful healing. The understanding of who is really in charge and the ability to get out of the way as a person and simply be that energy that is needed. It is what fuels my life, and makes it worth getting up every day. If not I can ask you my questions by mail!!! 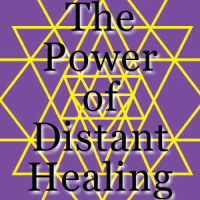 Yes I offer distance or absentee healing – yes I heal with the power of god. I deal with burnout and depression and anything that weighs down a soul. I offer phone sessions, I prefer to answer questions by email or through this venue. If you are interested and have questions, let me know here, and I will contact you via email with answers.